Faster is not always better, but there are ways that you can speed up the time from seedling to harvest without sacrificing quality, potency or yields. So today I’d like to share a short guide on how you can reduce the time to harvest, and how you can reduce the amount of time you actually spend tending your plants, and still get outstanding results. If you’re serious about getting yields as quickly as possible, then these tactics will get you there the right way! Let’s get to it! With photoperiod (regular) strains, you can manipulate the light schedule in the flowering stage to get buds to mature faster. Although most plants will start flowering when they get less than 13 or 14 hours of light a day (that’s when plants usually start flowering outdoors), it can take them a long time to “finish” and be ready to harvest with days that long. Because of that, it’s recommended to give plants 12 hours of light each day, and 12 hours of dark to get the plant to start flowering, because plants usually finish maturing in about 8-12 weeks after the switch to 12/12. However, some Sativa and Haze strains are from the equator, and they may not flower properly under a 12/12 light schedule. In that case, a grower can give a plant 10 or 11 hours instead of 12 hours of light a day, like a 11/13 or 10/14 schedule. This will cause the plant to finish flowering faster. 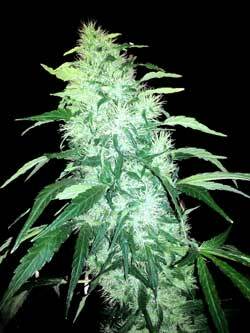 In fact, this can be done to any strain to get it to finish flowering faster. The one downside is that a shorter flowering stage with less hours of light each day mean that buds get less time to fatten and you will end up with smaller yields. Therefore it’s not recommended to try to get a plant to finish flowering in less than 8 weeks, as you’ll end up with very small yields. This technique is best used if you have a plant that’s been flowering for 2-3 months and doesn’t look like it plans on stopping any time soon. How can this technique reduce yields? The less light you give your plant overall during its life, and especially in the flowering stage, the less your yields will be in general. A strain that takes longer to finish flowering usually produces bigger yields than a short-flowering strain because it gets so many extra light-hours where it’s making energy and fattening buds. On a similar note, an auto-flowering plant gets pretty great yields considering it goes from seed to harvest in just 3 months. 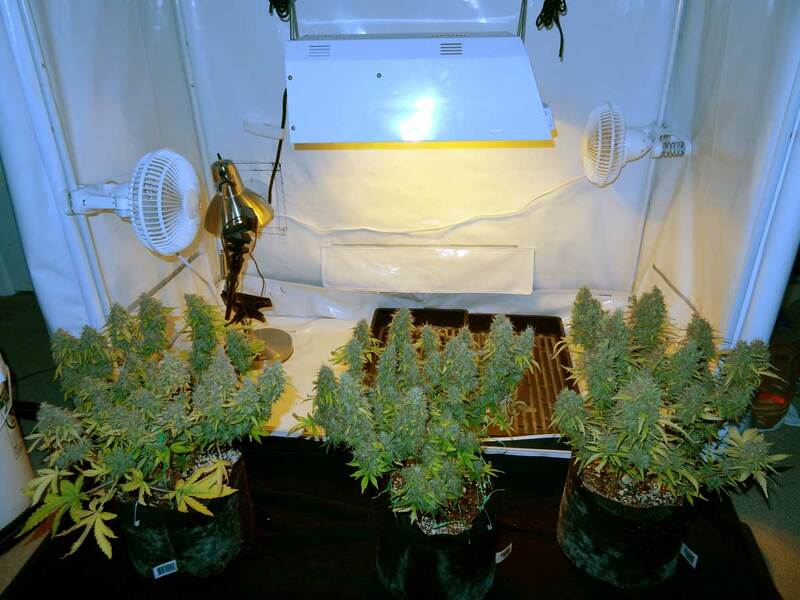 A big part of that is because they get 18 hours/light a day during their entire flowering period (compared to only 12 a day for regular plants)/ This gives the plant more light each day to produce buds, resulting in bigger yields. As you probably know, the life cycle for all marijuana plants is separated into two parts: the vegetative stage and the flowering stage. 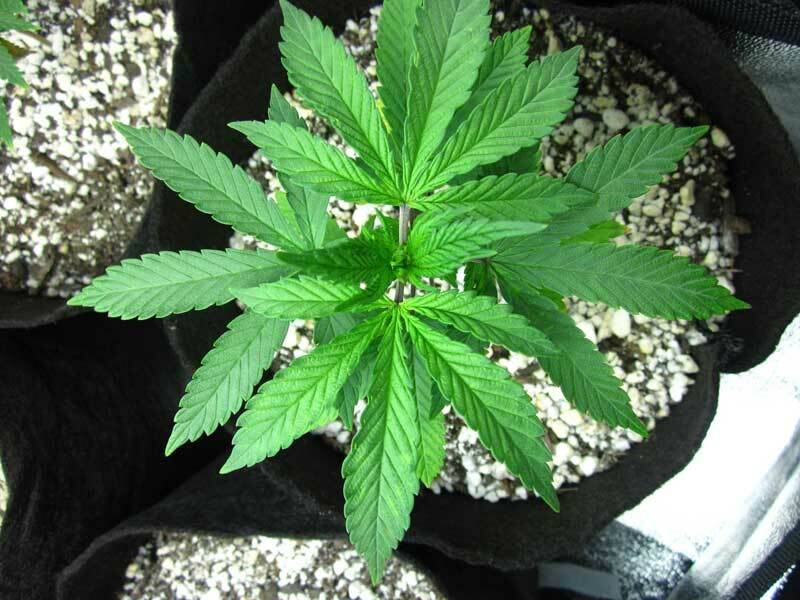 The vegetative stage can be shortened by getting the plant to grow faster when she’s young. Yet the length of the flowering stage (the time between when flowers first start forming and when the plant is ready to harvest) is pretty much strain-specific. That means that once you’ve started flowering a specific strain, there isn’t a whole lot good options to speed things up during the flowering stage. Note: There are special light schedules, that involve lowering the amount of light each day in the flowering stage, which can sometimes get harvest to come a little quicker. For example a 10-14 schedule (10 hours light, 14 hours dark each day) during the flowering stage may get plants ready to harvest a week or two sooner for some strains, but lowering the amount of light each day combined with harvesting sooner really hurts your yields. Many Indica hybrids (such as AK-48 and Northern Lights) naturally have very short flowering periods of only 7-9 weeks, which is a shorter flowering time than most other strains. Hazes and Sativas often take much longer. For example a haze strain (like Haze 1 from Nirvana) can take 3-4 months in the flowering stage before being ready to harvest. Every different strain has pros and cons, but if time is a factor for you, pay close attention to the length of the flowering stage when deciding which strain to grow. The majority of seed banks list the length of the flowering period as part of their stats for each strain. Some strains are ‘auto-flowering‘ and go through their whole life cycle regardless of light cycle or anything you can control. These strains tend to be ready to harvest in only 2-3 months from seed (though you should definitely expect smaller plants with relatively small yields when choosing an auto-flowering strain). Auto-flowering strains of marijuana contain higher levels of CBD, a cannabinoid which has been associated with many medical benefits. So they may be the perfect choice for a medical marijuana user who needs to harvest quickly. In this auto-flowering grow, I harvested more than 6 ounces in less than 3 months! As long as you give your plants more than 14 hours of light a day, they will stay in the vegetative stage. But if you give the plant more light than that, they have more time in the day to grow! Some growers believe it’s better to give marijuana plants 18 hours of light a day max, with a 6 hour dark period during the vegetative stage. This is because plants grown under 18/6 tend to be more resilient to problems. If you have a sick plant, just reducing the light period and/or light intensity a little bit can help it recover faster. Regardless of which is best for plant health, it’s a proven fact that marijuana plants given a full 24 hours of light a day will grow at least a little faster during the vegetative stage (however, you may consider back down to 18/6 if your plant is sick to help it recover from problems faster). 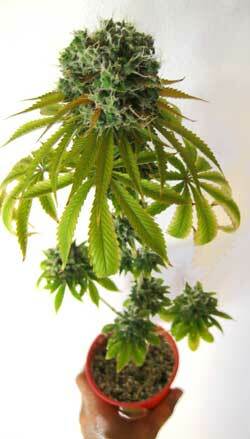 You may not realize that regular (non auto-flowering) marijuana plants can be flowered directly from seed. When I say “flowered,” what I mean is that you can change the light schedule so that it forces your young seedlings to start making buds right away. 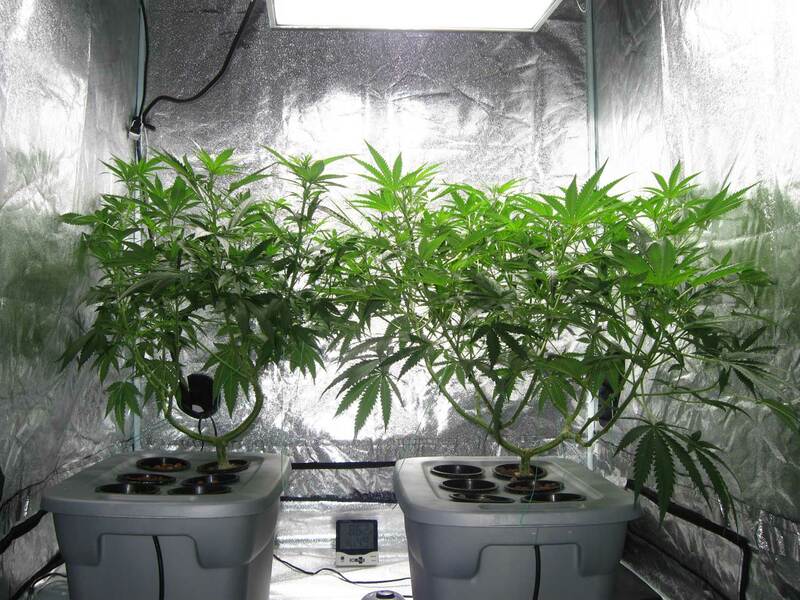 You can get a marijuana plant to start flowering by ensuring that it gets 12 hours of uninterrupted darkness each night, often referred to as the 12-12 light schedule. This makes the plant “think” winter is coming, and it’ll start making buds as soon as it’s able. This means that your “flowering stage countdown” begins within about a month from the seed being planted. 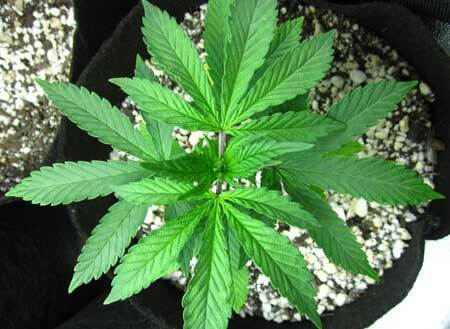 So for example, Northern Lights has a flowering stage length of about 8 weeks. If you flowered a Northern Lights strain plant from seed, your buds would be ready to harvest in about 11-12 weeks. Some growers will also flower marijuana clones as soon as they have formed roots, for basically the same effect, though clones tend to start flowering a little faster than a plant put on 12-12 directly from seed. That being said, flowering from seed is a very inefficient manner of growing. Plants flowered from seed don’t get enough time to grow stems where buds form. If you want to initiate flowering early, it’s better to do so after after waiting just a bit, so you grow plants that are relatively small but can produce more than a couple of grams worth of bud. This is known as the “Sea of Green” (SoG) technique. A bunch of smaller plants is easy for new growers to manage, plus it gives you the option of trying different strains instead of getting of lot of one strain. Growing outdoors can be more convenient and vastly cheaper for those who happen to live in a place with great growing conditions since the sun and nature are doing a lot of work for you. 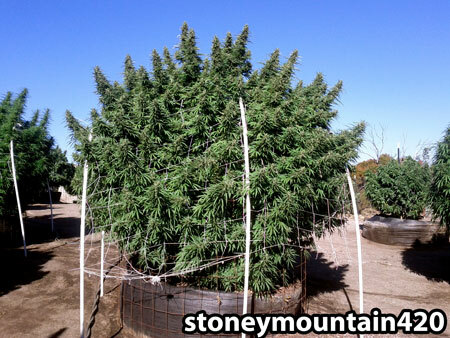 But outdoor growing isn’t the fastest way to grow and harvest your crop. 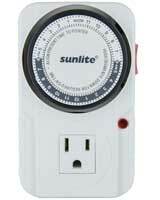 Outdoors, you plant in the spring, and must wait until late fall to harvest. That means that oudoor grows can take 6+ months. Given the right conditions (high-yielding strain, direct sunlight all day, good soil, avoid pests, etc) you can grow huge plants in that time, that produce pounds of buds. Yet growing indoors gives you the ultimate control over how big your plants get, how long to keep them in the vegetative stage, and exactly when they start flowering amongst other things. You also have a lot more control over how much bud you’ll end up yielding. With a well-chosen strain and a good setup, one can harvest several ounces of buds in less than 4 months indoors, which is nearly impossible to do outdoors in the same timeframe. On a similar note, you might want to consider hydroponics over soil. In my experience, top-fed Deep Water Culture hydroponics (also called ‘bubbleponics‘) has given me the quickest growth of any hydroponics system I’ve tried. I know this sounds like it doesn’t need to be listed, but it’s a more important job than people think. Every time your plants get sick, it slows down their growth while they try to recover. 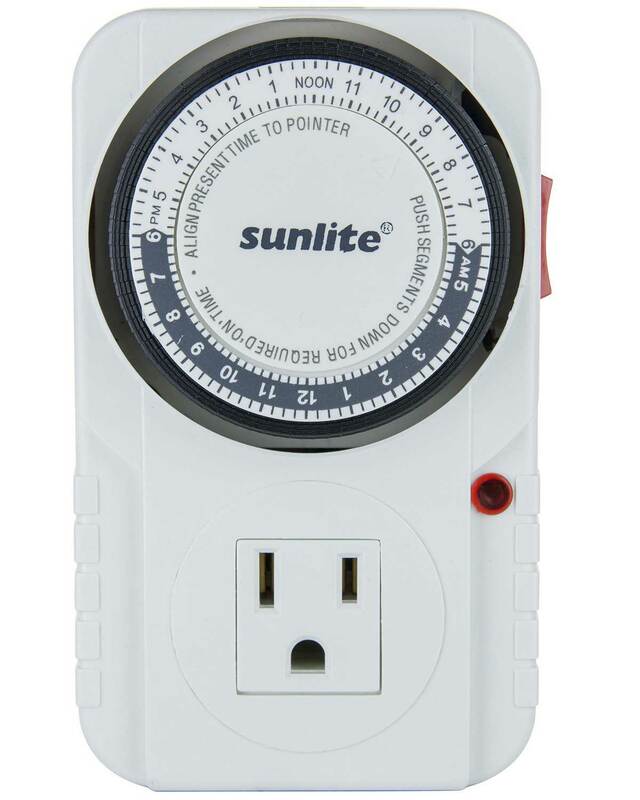 Every problem your plant runs into can add days or even weeks on to your total grow time. Simply put: fixing a problem quickly equates to shorter time to harvest. Plus, by reacting quickly to problems, you will save yourself the stress of trying to deal with a huge problem that’s gotten out of control since you’ve been watching out and adjusting along the way. We all know that problems tend to get much worse when left unchecked! The more you tend to and baby your plants, the better they will grow, and the faster you will be able to harvest. 7.) Make Sure You’re Feeding Plants The Right Type of Nutrients During Each Stage of Growth. In the vegetative stage, it is important that you give your plants the right nutrients needed to get optimal growth. 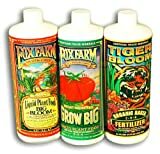 Now if you’re starting with a good soil (Fox Farms Ocean Forest soil is a proven choice), you may not need to supplement any nutrients for the first 3-4 weeks, as the nutrients you need are already in the soil. If you’re growing hydroponically (directly in water, or in a soil-less medium like coco coir), it is essential that you provide all the nutrients your plant needs right from the beginning. Learn more about which nutrients work! You’ve probably seen ‘N-P-K’ numbers on the bottles of pretty much every nutrient line there is. These number are important to know since cannabis plants use more N (nitrogen) in the vegetative phase, and relatively more P & K (phosphorus & potassium) in the flowering phase. 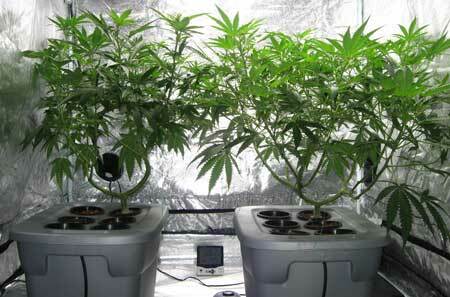 Conversely, giving your plant too much N in the flowering phase will actually slow down bud production. This means that you will harvest smaller yields of less-dense buds in addition to waiting longer for said buds! This is why you need to either mix your nutrients by hand, or choose a nutrient system that is specifically formulated for the flowering stage of a plant like marijuana. By providing the right nutrients at the right time, you’ll reduce your overall time to harvest. 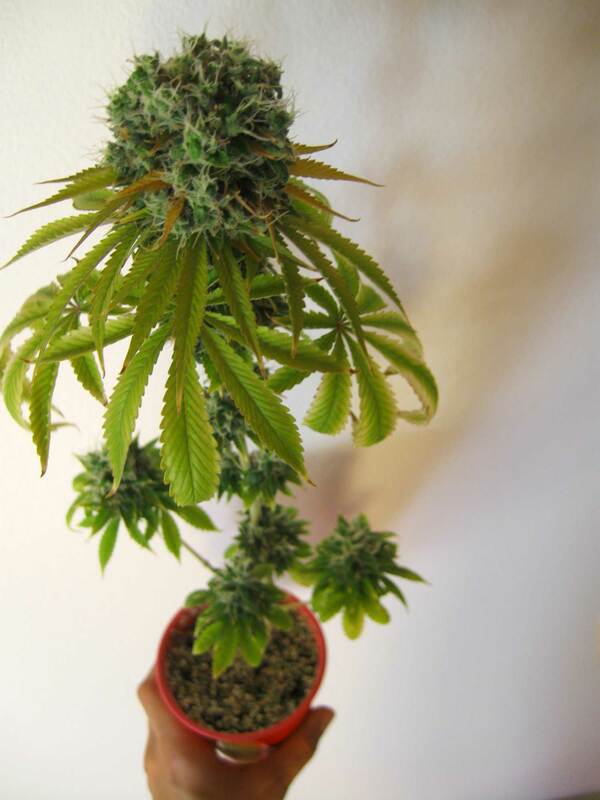 Learn more: Why are my cannabis buds not ready to harvest yet? How Much Time Per Week Does It Take To Grow Cannabis? Now that you’re equipped with the information to get you to harvest as soon as possible, let’s quickly address another common question we receive about time. 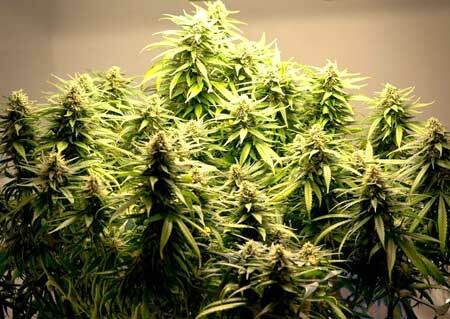 Growers often write in to ask us how much time it will take per week to grow a marijuana plant. We understand that many of you have busy schedules, and want to know if growing your own weed is a realistic goal for you. The amount of time spent growing varies greatly depending on the method you use to grow, the size you let your plants get and the skill of the grower. But that doesn’t mean there isn’t a growing method that’s conducive to spending less time plant-tending. The truth is, you can grow weed in only 20-30 minutes a week when you use the right techniques and get used to the process of growing. The following article reveals the best way we know to grow lots of potent bud while using a minimum amount of time to do so. We make this happen using a hydroponic style of growing known as Top-fed DWC (aka “bubbleponics”). Keep in mind that this is a fairly advanced technique, and should only be attempted by intermediate-advanced growers or particularly brave newcomers. Medical marijuana has had a huge impact on my life, and I’m dedicated to showing you how easy it can be to grow your own medical-grade buds. I have made it my mission in life to make growing information available to anyone, both new and advanced growers, while also working to get marijuana legalized for everyone. Are You Ready To Go Pro With Your Garden? Marijuana plants may not be as easy as to grow as house plants, but learning how to grow is MUCH less complicated than a lot of growers make it seem! 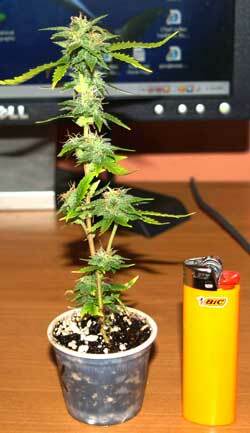 Still, you need to learn this plant’s language if you want to grow real chronic buds and get great yields. 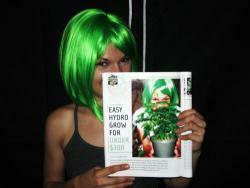 Start Growing Elite Marijuana today! 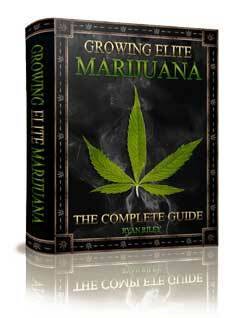 There is a ton of great info in Ryan Riley’s Growing Elite Marijuana book. If you read the entire thing from front to back, even a totally experienced grower will learn something, and probably a whole lot of things. For a beginner, this book has literally everything you will need to know. I’ve read several marijuana books over the last decade (read some of my reviews about the best growing marijuana books), and learned a lot from all of them. Each book I’ve read has leveled up my growing skills in some way. This book might not be for you if you’re just looking to grow a tiny amount of bud to smoke a couple times a year. But if you’re a daily smoker like me and are dedicated to growing a constant supply of potent bud for as cheap and easy as possible, you’ll be glad you invested in Ryan Riley’s ultimate guide to growing.